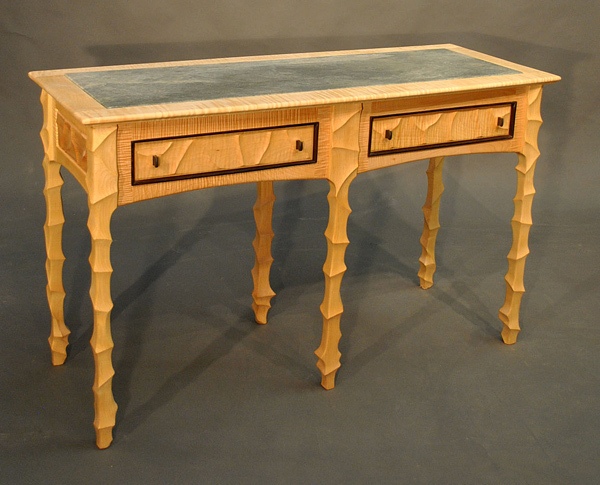 A sculpted curly maple sofa table with a piece of verre granite inlaid in the top. The piece consists of two substantial drawers. 48" x 34" x 19"
Do you like the look and feel of this Web Site?